Ever wish you could learn to speak a few more words than "Ciao" or "Buon Appetito" in a relaxed and friendly environment without the pressure of exams and lengthy homework? 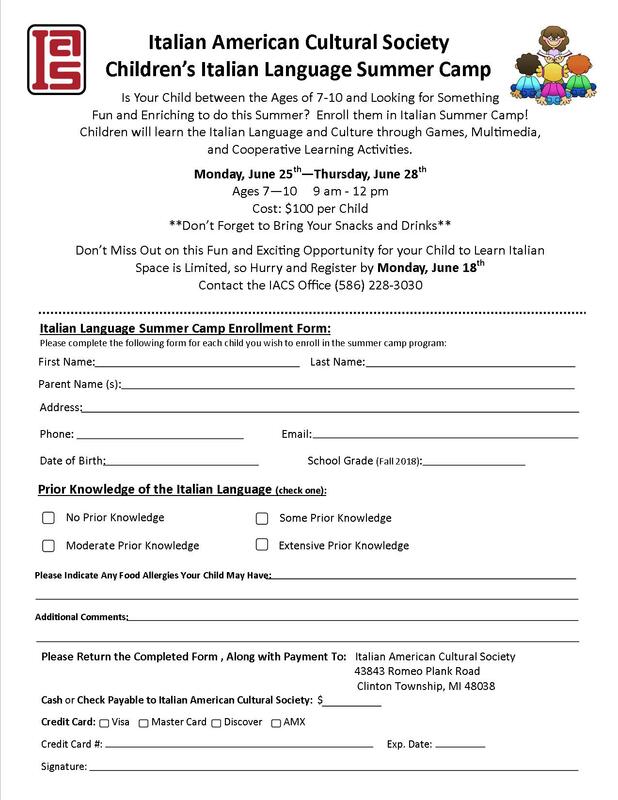 Italian lessons for adults and children are now being offered by the Italian American Cultural Society in Clinton Township, Michigan. Courses range from Saturday morning children's lessons to weeknight classes for adults, with beginning to advanced language skills. The comprehensive lessons include reading, writing, vocabulary, conversation, and cultural introductions. They are taught by native Italian speakers with teaching degrees, yet have the social feeling of meeting up with a few friends or taking a quick trip to Italy. Children have workbooks and other materials including music at their grad levels to help them learn the language without the pressure of taking tests and having homework. 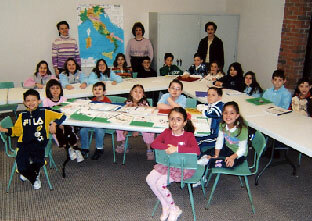 Learning Italian and other languages has proven to help children understand English grammar, too. The focus for the adults, on the other hand, is on developing stronger conversation skills to help with a visit to Italy or to keep language skills sharp. There is a perfect course level waiting for you. 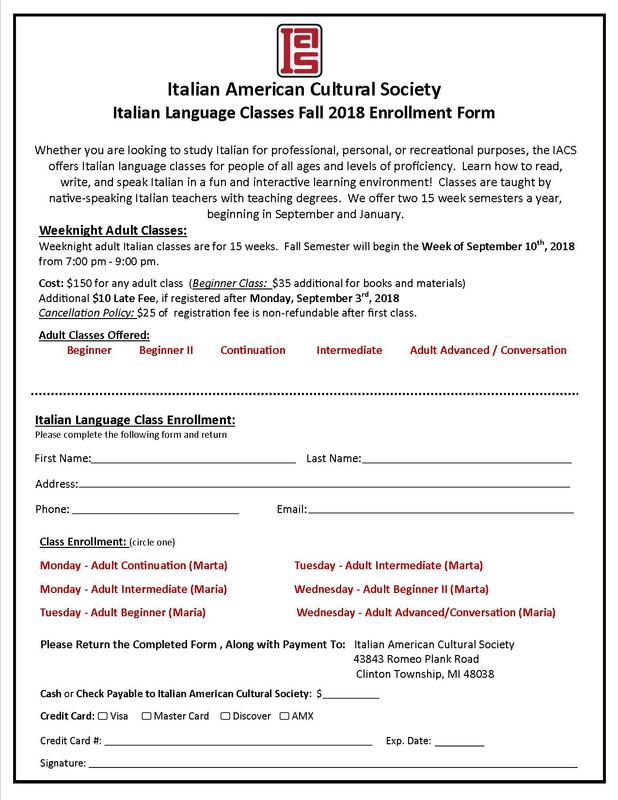 Contact the Italian American Cultural Society today to find the right course for you. Adult semester classes begin in September and January, while children's courses are school-year long beginning in September and ending in early May. Call the Center for specific days and times at 586.228-3030.